Metal Storm kicks off a new feature called Spotlight. This is one of my favorite games for the NES, so I think it will be a good candidate to start with! These aren't reviews... these are Spotlights! 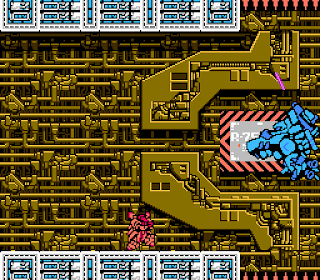 Screenshot of Metal Storm stage 1. As a kid, I didn't get new games that often. Most of the time, there had to be some kind of event like a holiday or a birthday in order for me to get one. 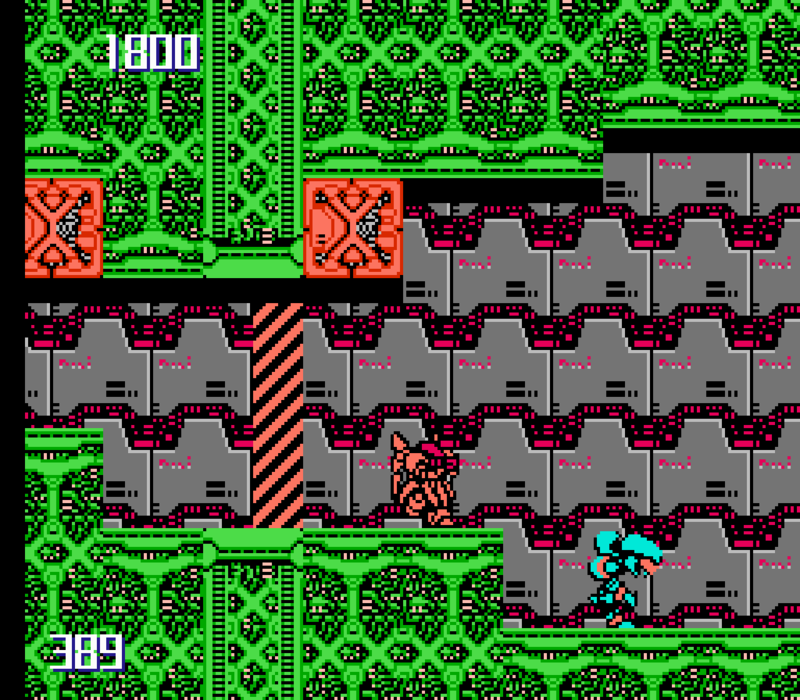 Metal Storm is a game that my grandma bought me one year when I was getting ready to go back to school after summer vacation. I had played the game before at a friend's house, but I was never able to make it past the fourth stage. Even though I wasn't very good at it at the time, I still wanted it. I was very enraptured by it. The game was amazing to me, and I had never seen anything like it before. The game mechanics were unlike anything else at the time, and I still find it impressive to this day. I would spend the summer with my grandparents, usually not returning home until it was time to go back to school. When it came time to go back, we stopped by a store and my grandma bought me this game. That same day we also went to Sam's Club, and she bought me a big box of taffy. 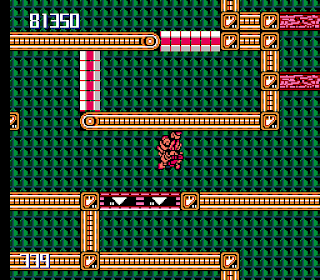 Some of my earliest memories of this game are of me sitting on the floor eating strawberry taffy and trying to get through that impossibly difficult fourth level. In time, I became able to run through this game in 13 minutes or so without taking any damage. It also quickly became one of my favorite games for the NES. I still play through it regularly. Stage 2, with gravity reversed. 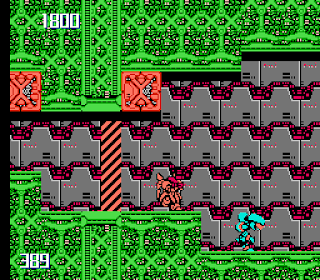 Metal Storm was developed and published by Irem in 1991. The protagonist, the M-308 Gunner, has the ability to reverse gravity and run on the ceiling, which in my opinion is a very interesting and innovative gameplay feature. 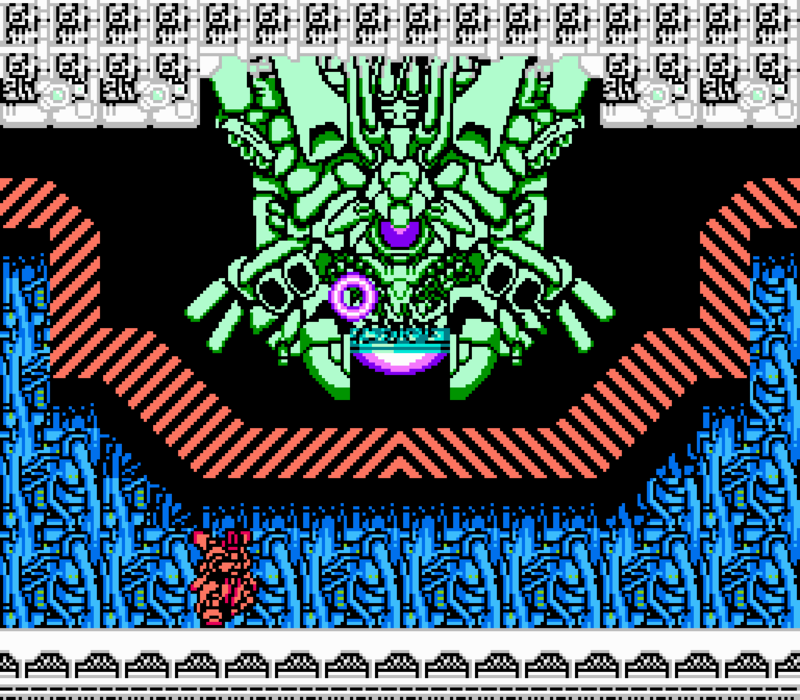 This gravity reversing will also affect some enemies you encounter. Your character can only be hit one time until it is destroyed unless you have picked up an armor icon, which gives you an additional hit. Your weapon is a laser shot that can be upgraded to a more powerful weapon if you pick up a power beam icon. You can also find an energy shield weapon that is positioned in front of you, deflecting some attacks and damaging enemies that come in contact with it. 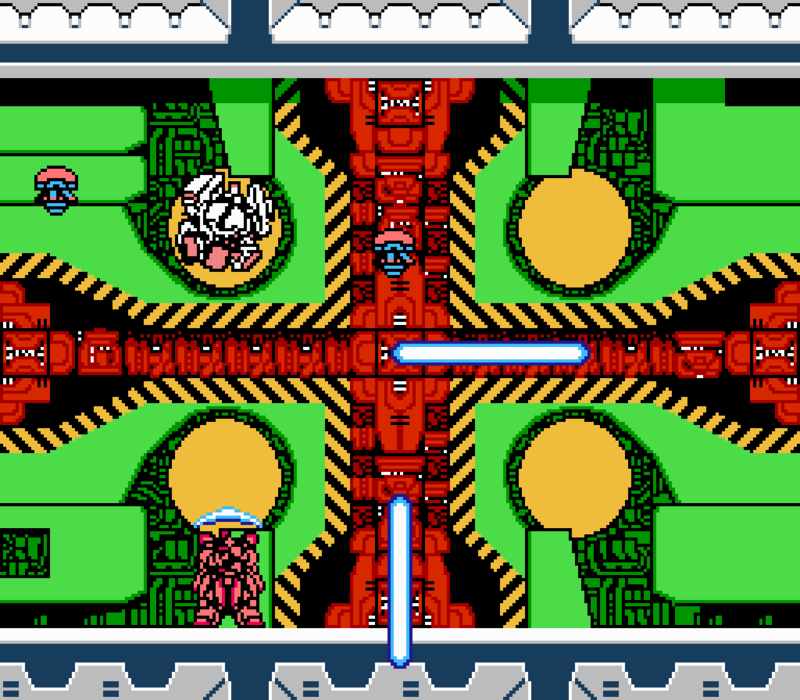 The game contains six stages and then has a boss rush as the seventh stage, where you tackle all the previous bosses in order before destroying the final boss of the game (if you can call it that). 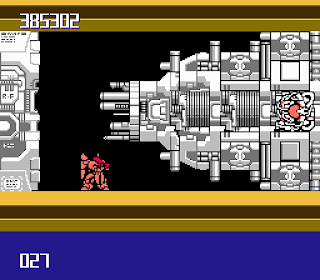 The stages also feature a faux parallax scrolling effect, giving the levels a very impressive appearance of depth. Metal Storm also features a significantly more difficult second quest after you finish the game. 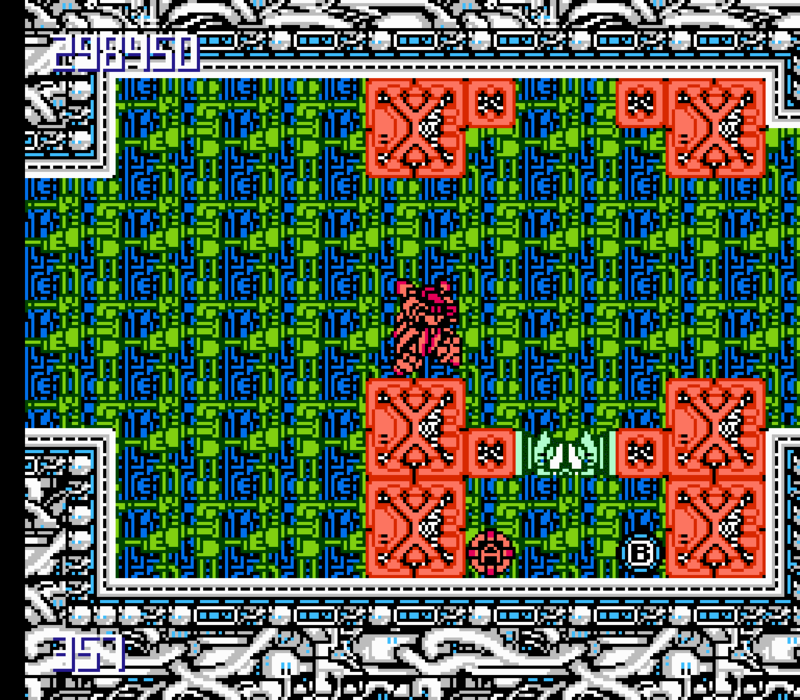 The levels in Metal Storm are all quite varied and each one has a different bit and feel to it. Here is a quick break down of each level style. 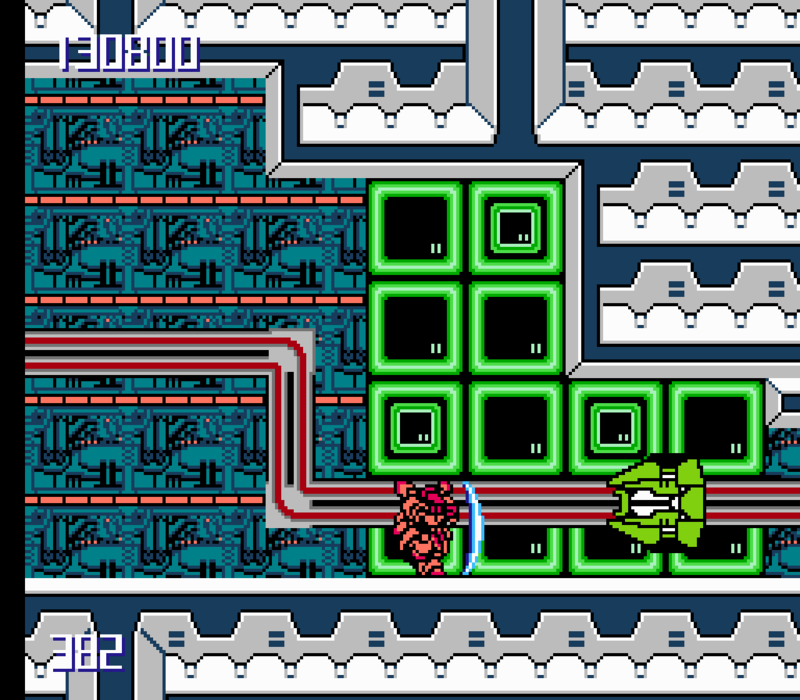 The first stage lets you get the hang of the gravity reversal effect before requiring it to traverse the level. 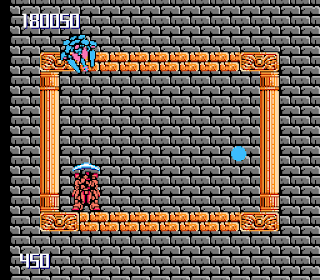 The second stage features a constant need to reverse gravity so you can get through trap doors that flip open and closed based off of how you have altered the gravity. 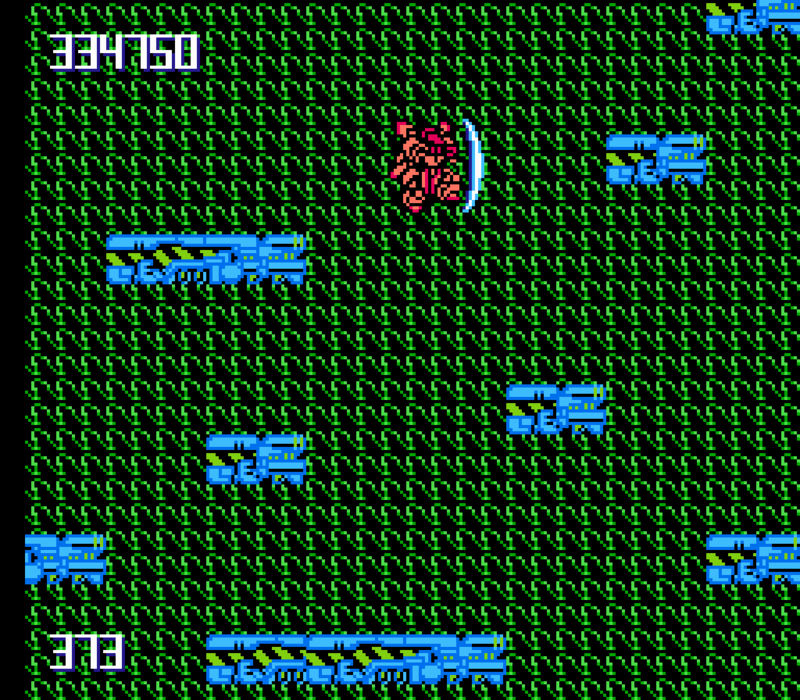 The third stage uses the simulated parallax scrolling effect very well. 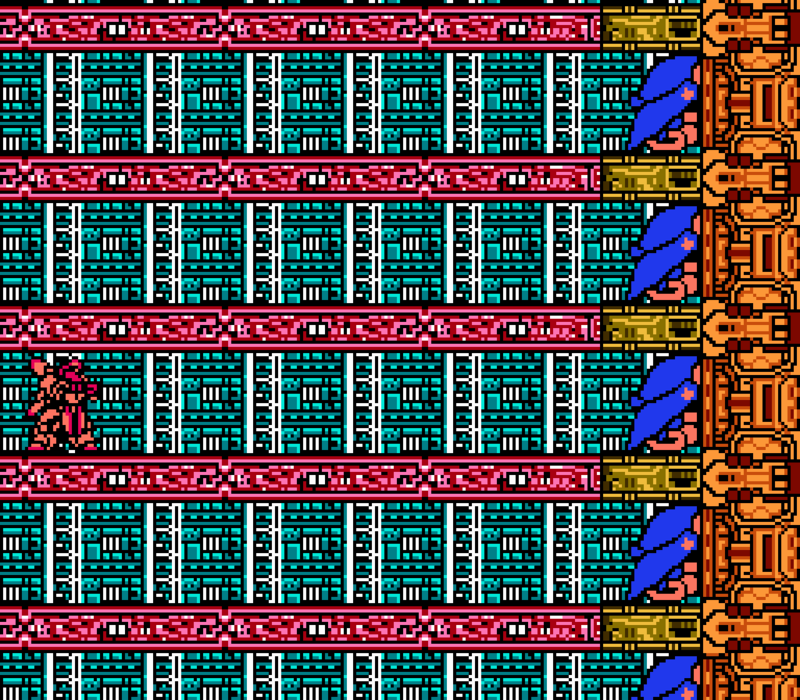 Enemies on a track in your path are continuously barreling towards you. 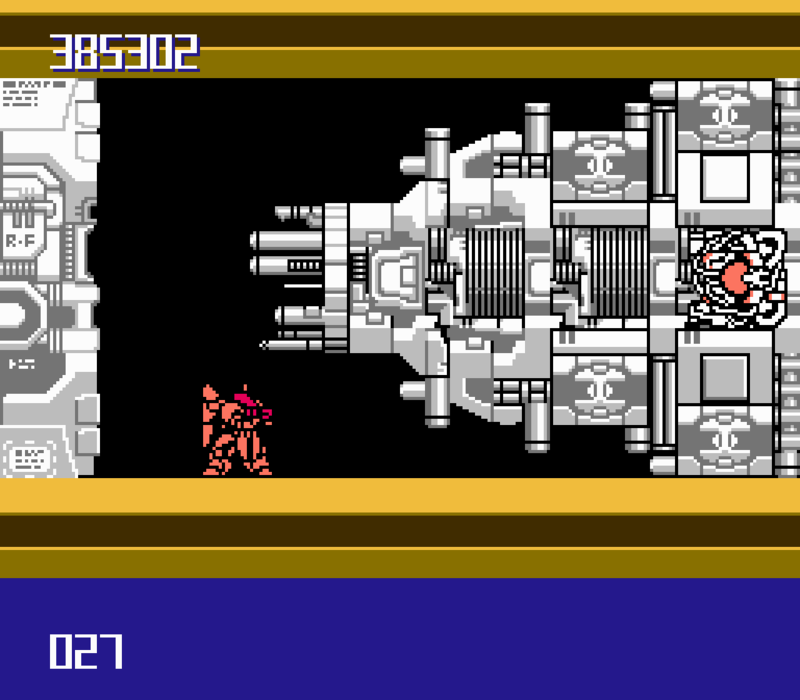 The fourth stage has the M-308 Gunner confined in a box that auto scrolls through the level. 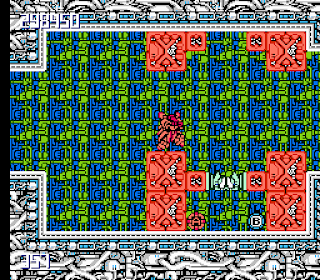 The two areas of the level are broken up by a quick mini-boss battle, the only one in the game. The fifth stage has many laser shooting enemies whose attacks cannot be deflected with your shield weapon. There is also a beam of energy following behind you, so if you take too long, it will destroy you. It moves so slowly it probably won't affect you, though. The sixth stage has platforms that are constantly scrolling towards the top of the screen. 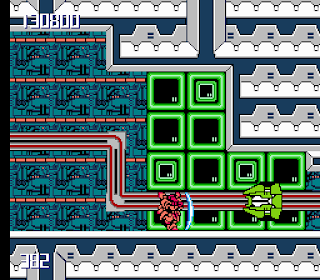 Lots of gravity reversing is required to get through this level. 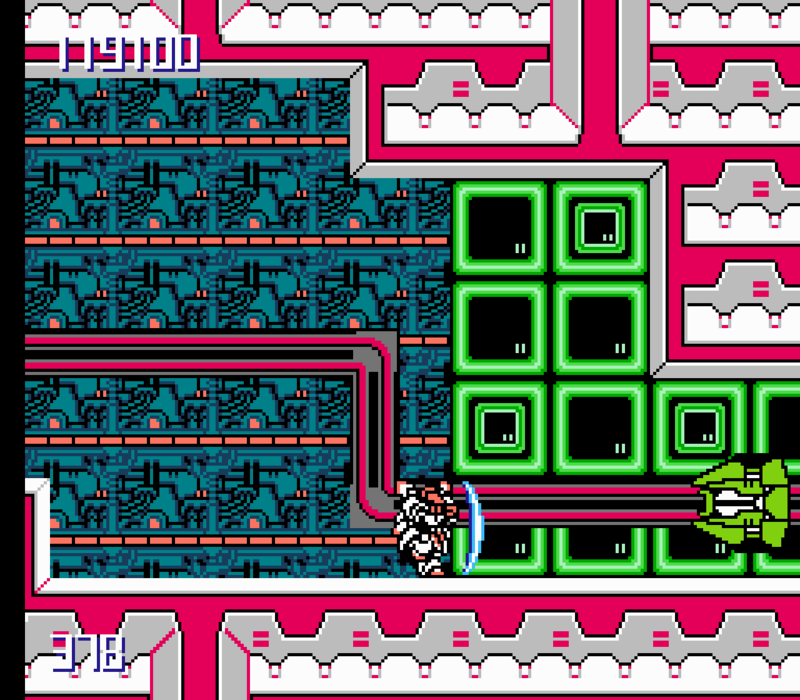 In the Japanese version of Metal Storm, the top and bottom of the screen are lined with electricity that will destroy you if you jump into it! 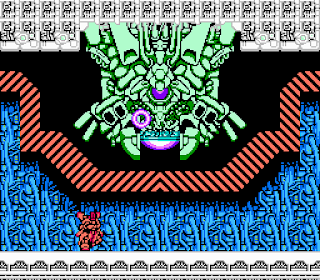 The seventh and final level is a boss rush stage followed by a quick encounter with the final "boss." Japanese Metal Storm color palette. 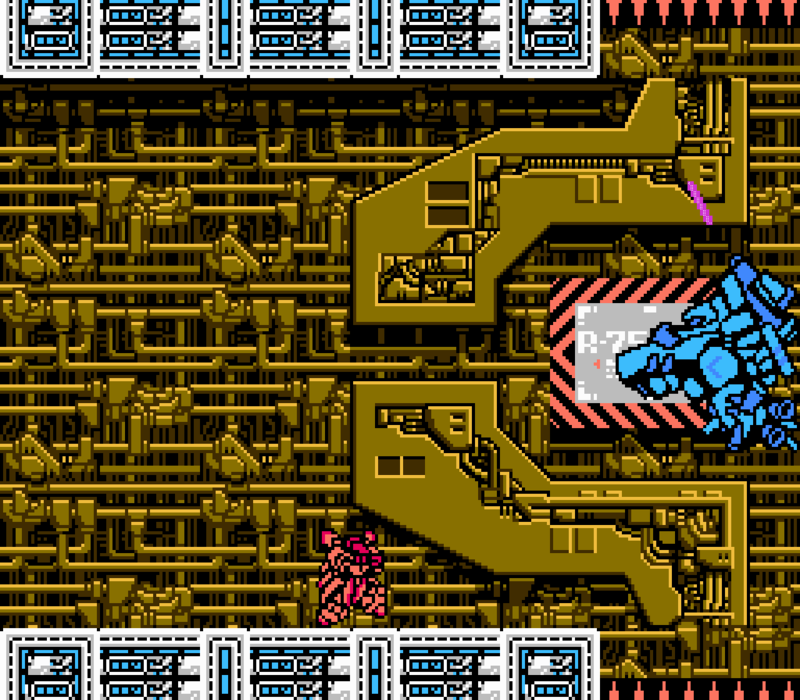 Metal Storm is a fantastic game. As time has gone on, more and more people have apparently discovered the game. 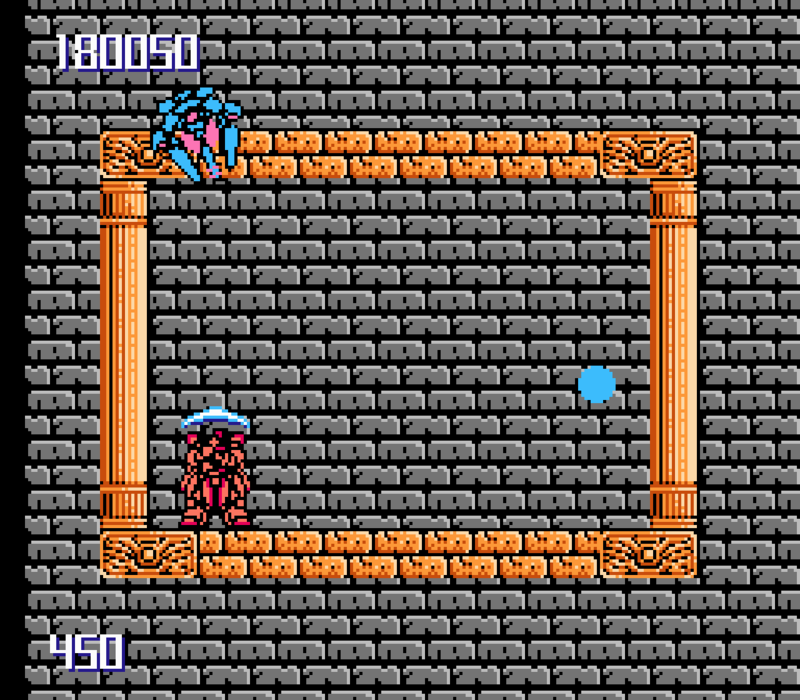 I see it brought up much more often than I used to when people are discussing hidden gems on the NES. As a result of this, the value of the game has crept up significantly over the years. As I stated before, this game is one of my favorite games on the NES. 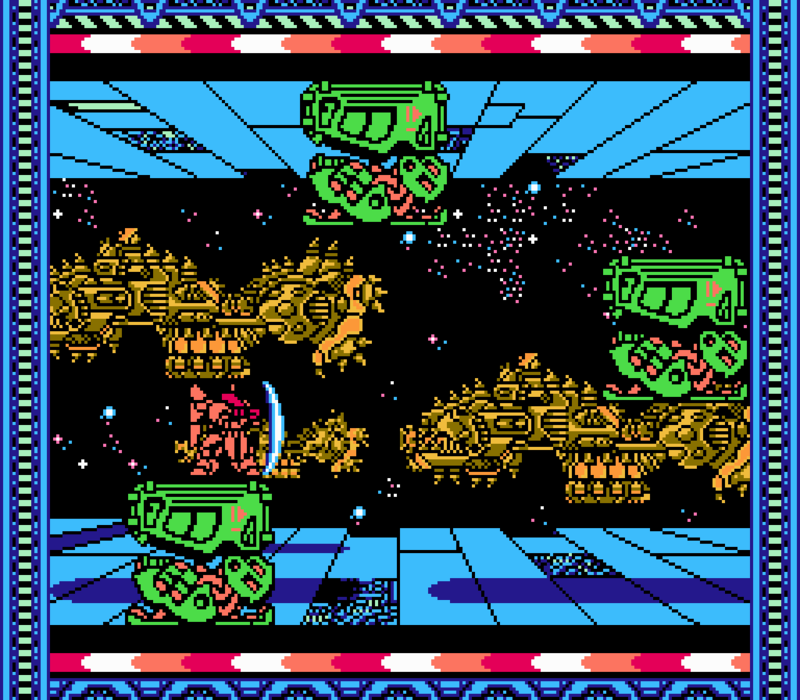 I might even go so far to say that it is my favorite game on the NES. It is a very fun game that you can pick up and play through very quickly. That might turn a lot of people off of it, but it's definitely a positive thing for me. 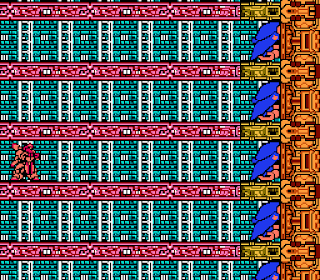 I should also note that the Japanese version of the game features a different color palette. 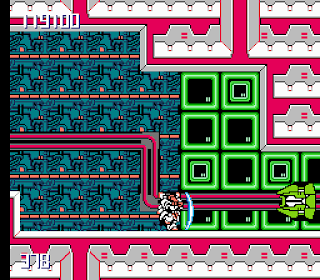 In this version, the M-308 Gunner is white (which is how it appeared on the cover of issue 22 of Nintendo Power) and there are various other color palette differences in the levels. It also has an opening cinematic not found in the American version. Definitely worth checking out.